They may not look it, but pigeons are surprisingly smart birds. With a little help from humans, they can learn to deliver messages, spot cancer cells on a mammogram, and even distinguish between the paintings of Pablo Picasso and Claude Monet. Now, the latest study on pigeon intellect, published in the journal PNAS, finds that the remarkably bright birds can even distinguish between written words and nonsensical strings of letters. Researchers from the University of Otago in New Zealand and Ruhr University in Germany trained pigeons to peck four-letter English words as they appeared on a screen, or peck a separate symbol when a four-letter nonsense term appeared. Over time, they trained four pigeons to build “vocabularies” of between 26 and 58 written words. They found that not only could the pigeons successfully identify the words they’d learned, they could often identify new words they’d never seen. Though they lacked decoding skills, the study concluded that the birds were capable of processing orthographic information. That is, though the birds were unable to read and understand the words they saw, they were still able to successfully identify visual patterns (or “orthographic properties”) that defined words. 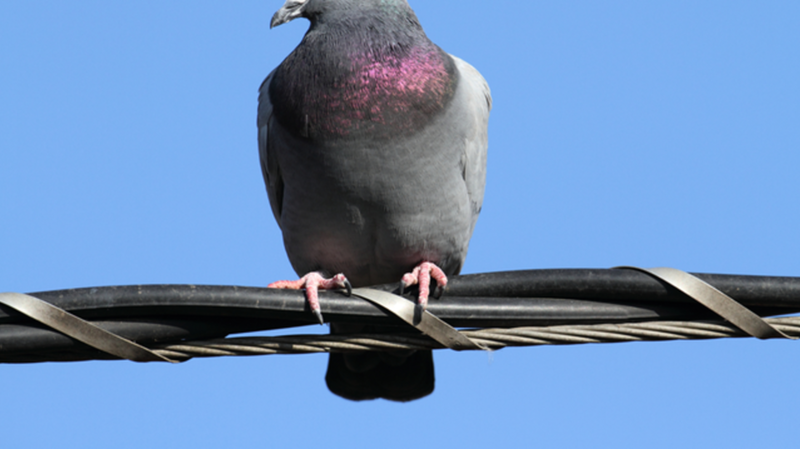 For instance, researchers observed that the pigeons could recognize “bigrams” (letter pairs) that were associated with words. They learned to distinguish bigrams commonly used in words (for instance, “AL” and “EL”) in order to distinguish words from nonsense.